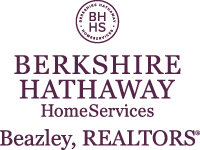 The median home value in Hephzibah, GA is $140,000 This is higher than the county median home value of $79,800. The national median home value is $185,800. The average price of homes sold in , is $. Approximately 64.15% of Hephzibah homes are owned, compared to 21.81% rented, while 14.05% are vacant. Hephzibah real estate listings include condos, townhomes, and single family homes for sale. . Commercial properties are also available. If you see a property Hephzibah real estate agent to arrange a tour today ! The data relating to real estate for sale on this web-site comes in part from the Internet Data Exchange Program of Greater Augusta Association of Realtors. Greater Augusta Association of Realtors deems information reliable but not guaranteed.